Hello, Owls! Welcome to our blog stop for The Crown's Game by Evelyn Skye! We recently asked Evelyn a question about her research for The Crown's Game and wanted to share her answer with you. Oh, and don't forget to follow Evelyn on her social media and enter her amazing giveaway! A frequent question I get about THE CROWN’S GAME is: How did you do all the research on Imperial Russia? Maybe readers imagine me in an ancient library somewhere, sitting amidst stacks of yellowed paper, wearing fur-lined capes and donning a Romanov tsarina’s tiara on my head… oh, wait. That’s just what I wish had happened. Truth is, I didn’t do a ton of research while I was writing THE CROWN’S GAME, because I had already done it. I spent three years at Stanford studying Russian literature and history and eventually graduated with a bachelor’s degree in the subject. So when I wrote THE CROWN’S GAME, my research was more along the lines of affirming details I had forgotten or verifying things I thought I knew but wasn’t quite sure of. If Nikolai or Pasha were to swear in Russian, though, they would likely do it incorrectly, since it wouldn’t be as familiar a tongue. I liked this idea a lot, and I did use it in THE CROWN’S GAME in one scene. It’s very much in Pasha’s character to want to try to curse in Russian (and to get it wrong but be unaware of it). It’s one of his many endearing moments in the book. So back to the original question of how I did all the research? Evelyn Skye was once offered a job by the C.I.A., she not-so-secretly wishes she was on "So You Think You Can Dance," and if you challenge her to a pizza-eating contest, she guarantees she will win. 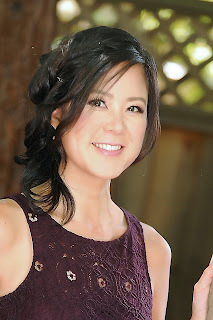 When she isn't writing, Evelyn can be found chasing her daughter on the playground or sitting on the couch, immersed in a good book and eating way too many cookies. 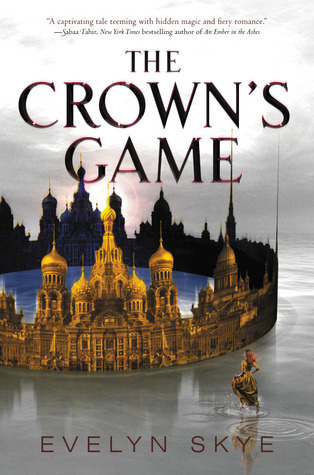 THE CROWN'S GAME is her first novel. Evelyn can be found online at www.evelynskye.com and on Twitter @EvelynSkyeYA. 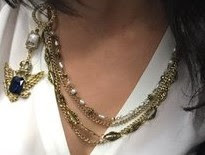 1 winner will receive a beautiful custom THE CROWN’S GAME necklace (similar to the one in the photo below) made by the lovely Tales of A Ravenous Reader, US Only. Make sure you follow the rest of the tour to see review, interviews and more guest posts!